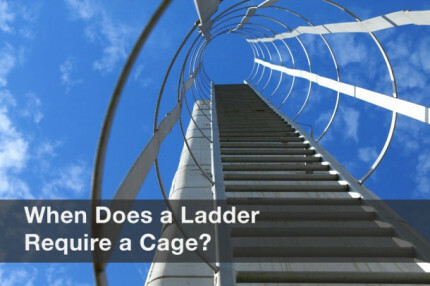 With the update to OSHA's Walking/Working Surface rule last year, there has been a focus on the change in requirements for the use of ladder cages versus ladder safety devices (our article on the topic can be found here). While this is important to understand, there was another significant change that did not receive as much attention. Simply put, chains, once a viable option for protection of ladder access, are no longer allowed by OSHA. We’ve already published many articles on the danger of using chains as protection – from weak plastic chains to S-hooks that could come loose, to workers failing to re-hook them, or even unhooked chains being a tripping hazard near a roof or platform edge. For those reasons and more, chains always posed some danger as a fall solution. 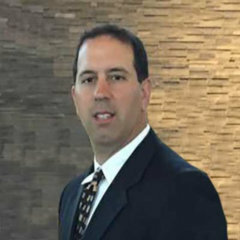 Becoming more aware of these hazards, OSHA made a specific change in the Walking/Working Surface rule that specifically prohibited chains in this function. Though OSHA never addressed the use of chains in the code, they were accepted as a legal means of fall protection in a couple of Letters of Interpretations. This change essentially negated these Letters of Interpretation, now requiring a self-closing safety gate in its stead. The main reason OSHA went this way is to remove human error as much as possible. By putting the action into the hands of employees, the use of chains was allowing too much risk. Either the worker could not re-hook the chain, or they would inevitably be put in harm's way by standing at the edge while they were re-hooking. This defeated the purpose of having the ladder protection there in the first place. Remember, the standard allows for two options: a self-closing gate or an offset. 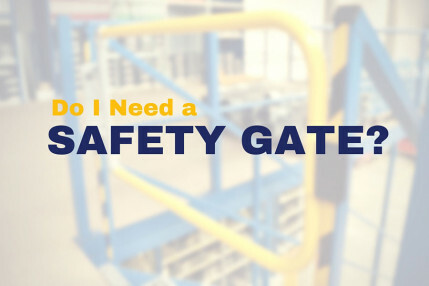 Gates are more durable and do not require action by the employee to close them. Self-closing gates are also stronger than many of the chains that were on the market, considering you could buy chains made of plastic. The other option is an offset which, as opposed to a gate, does not necessarily provide a physical barrier right at the point of entry. However, it does prevent a person from accidentally falling into a ladderway by designating a specific area of entry to the ladder. Meaning it will require effort to access the hazard, keeping you and your workers more alert. 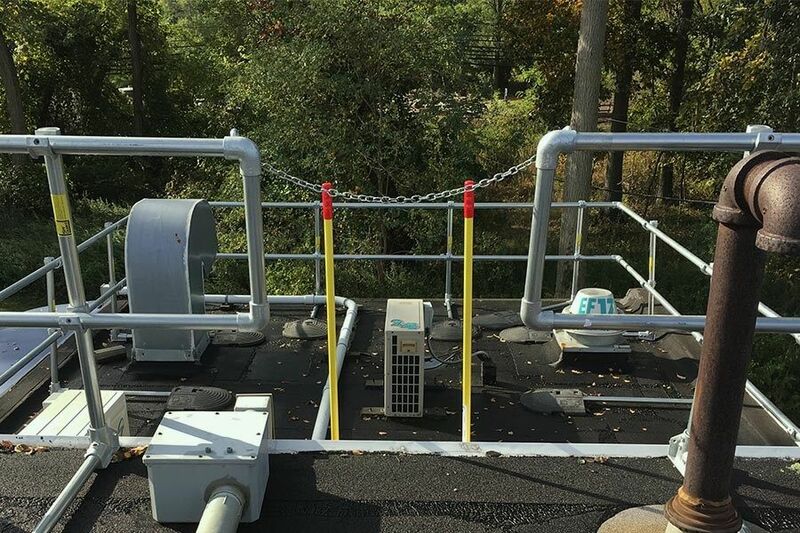 One thing to keep in mind is that these new requirements do not have the same long, drawn-out implementation schedule as the fixed-ladder fall protection changes previously mentioned. 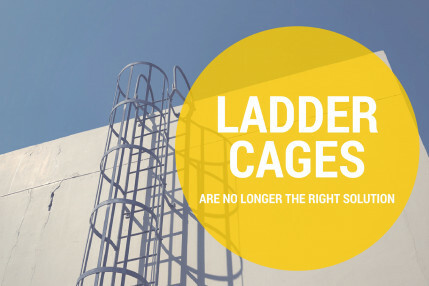 Because of cost, ladder cage changes are being phased in with various deadlines. Chains, however, are being disallowed immediately. If you are still using chains for fall protection, you are out of compliance. OSHA’s intent in the new standard is clear, and the language is specific. Chains are no longer allowed in this capacity. Aside from the possibility of people getting hurt, chains that remain in a facility will be low-hanging fruit for OSHA compliance officers should they come to your facility. Don’t wait until it’s too late to bring your company into compliance.